This card only took about 10 minutes to make! Have a look at my video at the link below and leave me a comment letting me know how I did and I will put your name in a draw to win this card! Been awhile since I have been around but so glad to see your video… and hear your voice.. Thanks for sharing… Great card by the way. You are going really good with the videos! thanks for sharing! Hi Lisa, Love the card, miss going to your classes, hoping to soon be back. Loving your newest video, what a sweet card, and so simple to make! Awesome! Gorgeous card. Love your video. Many videos on here get boring really fast but you are able to keep my attention through the entire thing. Good Job. Keep sharing your talent! Last week was a blur and I just realized I hadn’t watched your video. Your card is beautiful but the video was just what I needed! I have some distress inks with the little dauber thingy that was part of a giveaway at a craft conference. They have been sitting on my desk waiting for me to get time to find a video on what to do with them – and now you made one! THANK YOU! I learned several techniques from watching your video today. As soon as I finish my housework I am going to play and try some of the things you did. 🙂 Have a Great Weekend! 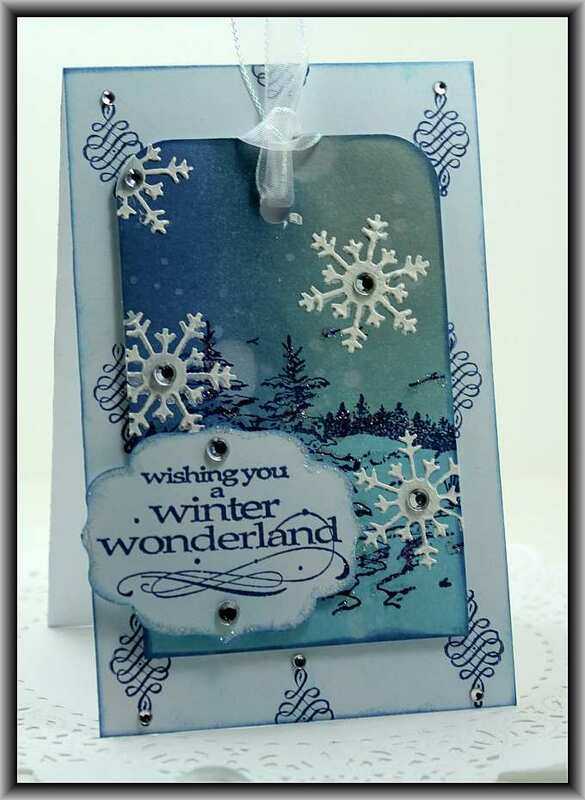 I am loving your Videos Ms Lisa and look forward to seeing many more…..this was a fast and easy card to make as well!!! Oh, I love, love, LOVE it! I’d been wanting a better way to use this stamp, and now I’ve found it!